Summer Lane is a female character in the series Daria. She is one of the older sisters to Jane Lane. She appears only once on-screen, a speaking appearance during the episode Lane Miserables. Summer is daughter of Vincent and Amanda Lane and the oldest sibling of Wind Lane, Penny Lane, Trent Lane and Jane Lane. Summer is in her early-to-mid 30s. Summer has shared the Lane's off-hands parenting methods. As a child, she was once allowed (i.e., Amanda did not care) to eat nothing but Pez for a whole year (Lane Miserables). As a teenager, she attended Lawndale High and was loathed as a slacker by Ms. Morris (See Jane Run). Adult Summer does not live in Lawndale at the time of the series, though Jane mentions a younger Summer living at home with some of her children - Jane used to help manage them until "they became old enough to run away" (Pinch Sitter). She has four children (The Teachings of Don Jake), though only two of them, Adrian and Courtney, are shown in the series or the books. Her children run away from home periodically and she has to get private detectives to find them. 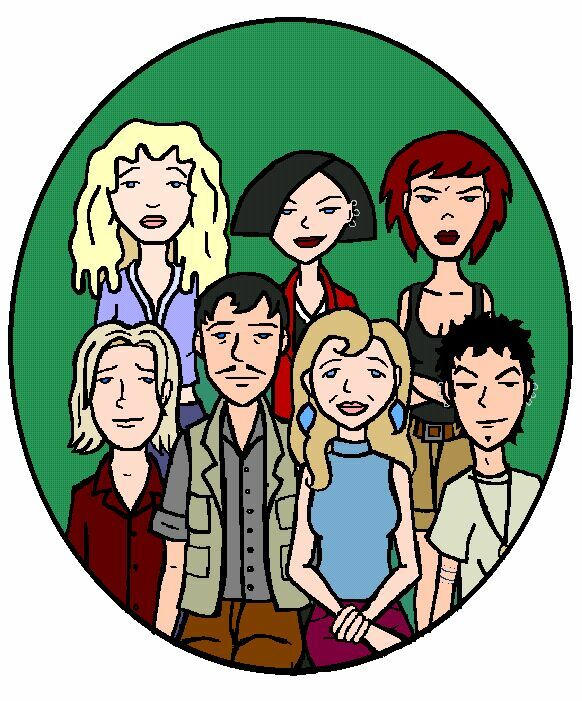 Why they run away is unknown, though in The Daria Diaries she abruptly dropped her other two children at the family home (when nobody was in!) while tracking Adrian and Courtney. It is unknown if she's married still, but a comment by Penny refers to Summer having "experience" at failed marriages. Summer shares the rest of her siblings tense relations with one another. When the Lane family is together in years (Lane Miserables), Summer only appeared because Adrien and Courtney had run off to Casa Lane. Once there, she bickers with her siblings, showing contempt for Penny and berating her children for leading her there, stating the family home is [sic] "the last place on Earth I want to be". In an interview with Kara Wild, Glenn Eichler has stated that Summer was the "Rita Barksdale" of the Lanes: someone who'd "[lost] their footing a bit, whether that meant dropping out of school, becoming a huge druggie, getting into a bunch of bad "all you need is love" relationships, or having any number of other experiences that their parents considered scandalous" (though without the "considered scandalous" part, knowing the Lanes). As Summer is in her early-to-mid 30s, it could mean she was at school (maybe not the same year) at the same time as Kevin's mother and father. "A selection of toys and clothes from innocent times past -- before you lost control of your kids and they became cross-country runaways and you had to quit your job to chase them all the way to Amarillo, Texas where you found them at a truck stop fighting over a 72-ounce steak. So buy a squeak toy or something, won't you? My Visa balance is killing me." Summer is often portrayed as a uncaring or negligent mother, thus her children running away. In Nine-Eleven and Counting, by TAG, she is described as also having been neglected during childhood (along with her siblings) and that she has had children but failed to raise them. Summer has been depicted by Lilliane Grenier in several artworks found on Outpost Daria most notably "The Lane Sisters" and "The Lane family Portrait"
Summer and Penny appear in page 4 of Wouter Jaegers' Dariarotica comic Growing pains where the two of them refused the hand-me-down clothing offered by their mother on different occasions. This page was last edited on 16 May 2018, at 20:29.